Just like when you’re making espresso, getting the right amount of coffee to water is key in getting a delicious brew. We start at 60g/Litre and scale up or down as needed depending on the size of our brew. Don’t use an espresso grinder for filter coffee. It will cause you a world of pain and your brews will not taste on-point. This is because espresso grinders are optimised to give you smaller particle sizes than what we’d be looking for as ideal for filter coffee. We recommend a few grinders that are perfect for filter – the EK is the Rolls Royce, with the Baratza Forte and Vario coming in close behind. Keep a little book with a record of the grind size that you use for different coffees. Often coffees from the same region will be ground at a similar setting – e.g. two washed Ethiopians will generally sit very close together for particle size. Be aware that a 10 on one EK may not be the same as another. Taste your brews and troubleshoot from there! If you’re scaling batches up, grind coarser to prevent your brew time from blowing out. 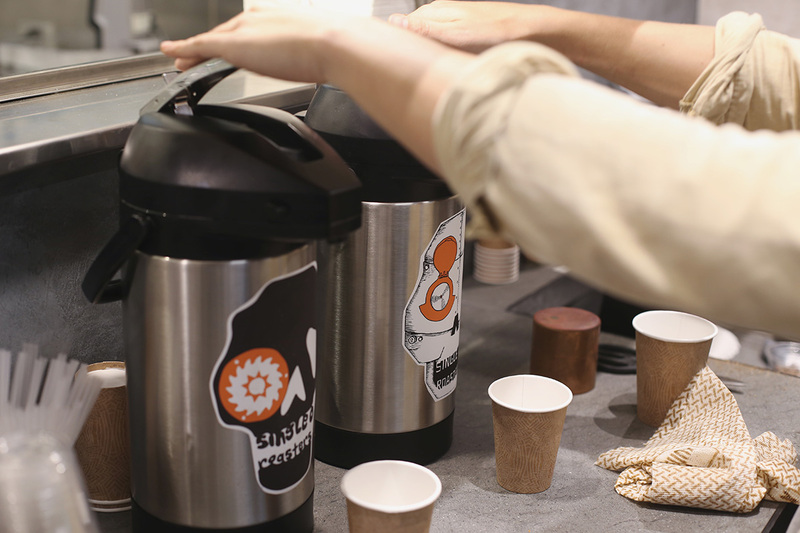 Faster brew times with coarser batches should keep your coffee tastin’ clean and prevent over extraction. Make sure you never keep your batches for over an hour – about 45 minutes is ideal. Any longer and the coffee will oxidise & take on some of the flavour of the pot. If you’re not doing a huge amount of volume – brew smaller batches more frequently. Don’t agitate your larger brews (anything over 1L) after bloom, as this will slow down your brew time and lead to over extraction. Keep your kit clean! This means dumping the spent coffee out of the basket straight away and giving it a good rinse. You also want to rinse your vac pots before & after every brew. If you notice they’re discolouring over time, mix a half a scoop of Cafetto per litre of water, fill the pot up and let it sit for 10 minutes. Dump the chemical then rinse super thoroughly with warm water a couple of times & you’ll be good to go! Most of all, have fun and enjoy yourselves! As always, get in touch if you have any other questions!